Our new powder coating system! 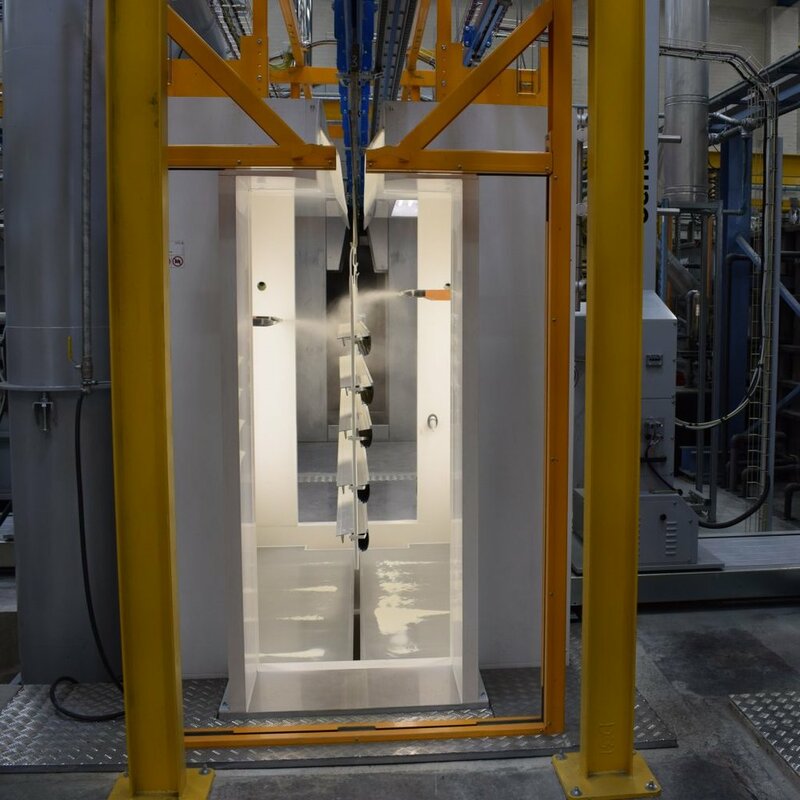 Powdertech Surface Science have invested £0.5 million in a brand new, state-of-the-art powder coating line. We are very excited to announce our new line has completed its commissioning and is now up and running and in full production! The line is fully automated, embedded with the latest technology and is capable of even higher quality finishes whilst maximising throughput. We pride ourselves on being able to undertake projects of all sizes and complexity; from 4 metre extruded profiles to sheet and small light fittings to intricate engineered assemblies. Our new horizontal line represents a step change in our capability which, when coupled with our fully automated vertical line, will help strengthen our already lengthy track record in these areas, making us more efficient at the same time. We welcome all visitors to come and see the new line in action. Please go to our contact page to schedule a visit or find out more about our capabilities. Powdertech Surface Science have just received our latest shipment of brand new forklifts from NDLT! As part of our constant and continued investment our latest forklifts not only give our drivers a better working environment but our production staff; by being far quieter and emitting up to 98% less particulate matter than our previous diesel powdered forklifts. Our move toward the Hyundai 20L – 7M LPG (liquid petroleum gas) means not only do we have more powerful and versatile machinery at our disposal but underpins our constant drive towards greener, more eco-friendly processes in the business. 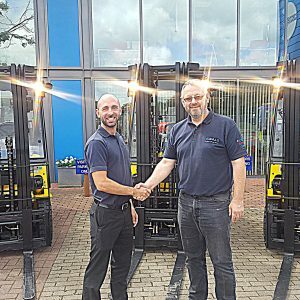 As always we have our customers at the heart of all of our decisions as a company and our continual investment means customers, both current and future, will benefit from our new equipment. Powdertech and Oxford Brookes Racing in 2016! The team at Oxford Brookes Racing, one of the top Formula Student Teams in Europe, approached Powdertech Surface Science to help them protect key parts of their 2016 Formula Student Car. They not only wanted protection for their parts but a coating that would compliment the aesthetics of the car and survive once put through its paces. Last years car used a standard spray paint finish due to time constraints and as a result started peeling off when subject to wear. Powdertech Surface Science were happy to supply our expertise and select the most appropriate coating for the task. All structural parts were coated in an ultra matt automotive powder coating to give an outstanding performance specification and a premium aesthetic whilst safety critical components followed Formula Student regulation colours.The result of months of work and the help of other key suppliers is a stunning piece of performance engineering that is set to take on the best Europe has to offer! Aptly named “Betty”, the dark materials throughout with contrasting white decals make for a striking appearance. The team, led by final year student Chris Shawe, will be racing the car against other European university teams across 3 locations Silverstone – UK, Hockenheim – Germany and Gyor – Hungary. To learn more about the team and to follow their upcoming races you can head over to their website or follow them on Twitter @oxbrookesracing. We are very pleased to welcome James Walmsley to the team at Powdertech Surface Science in Bicester. James joins us as Junior Production Manager having successfully graduated with a first class degree in Business Management from The University of Gloucestershire. Before joining the management team permanently, James will undergo in depth training in every department of the business. Taking James on board during our continued growth shows our commitment to supporting it. James’ position will translate directly into continued high quality and support for our current customer base and business partners of the future. Here at Powdertech Surface Science we strive for continuous improvement and innovation in every aspect of our business. In keeping with our company ethos we have just invested in a complete overhaul of our factory lighting. This upgrade sees us switch to a full LED lighting system. Not only is this new technology far more eco-friendly (lowering Powdertech’s carbon footprint) the LED system also emits a much broader wavelength of visible light giving us a better working environment and an even higher degree of quality assurance and inspection – a core value at Powdertech and something our customers demand. To learn more about the Powdertech facility please visit the Our Facility page here. Valspar have released a new range of powder coating finishes under the Syntha Pulvin brand to mimic the look of anodizing. Here’s an overview from the Syntha Pulvin website. Anodite is a new generation of architectural polyester powder coatings with a smooth, low-gloss, metallic appearance designed to simulate the colors of anodizing — but with the added advantages of hiding surface imperfections and defects in the metal. The collection meets the requirements of QUALICOAT class 1.5 and GSB standard, so it is highly resistant to the effects of weathering. This new range of coatings is designed to enhance aluminum or galvanized steel substrates for both interior and exterior applications. Superior toughness for exteriors: Ideal for residential, light commercial, industrial or institutional buildings, and for use in storefronts, entry systems, windows, hand rails, and photovoltaic solar panels. Holds up to high-traffic interiors: Ideal choice for public buildings, such as airports, schools, hospitals, shopping malls, offices or wherever painted surfaces come into contact with people. Mike joins us as BTeam_Mikeusiness Development Manager, heading up our Sales and Marketing function during an exciting period of growth at Powdertech. He brings with him experience in various technical and account management roles from the functional coatings and finishing industry. Prior to his experience in the private sector; Mike obtained his Masters in Chemistry at The University of Liverpool. To view Mike’s contact details please visit our Contact page. Powdertech is pleased to announce its new look website, launched in partnership with The Like Minded. The newly designed website, which reflects our commitment to innovation, offers a user friendly experience for visitors and customers alike, with easy access to all the services we offer, including our Materials and Surface Treatments sections, which have been categorised for greater clarity. The content is now much easier to navigate and share with others. Further information on Powdertech can be found on the Team, Facility and Contact pages. The News Page is frequently updated with industry facts and information videos on treatments and services – watch this space for regular updates.